Emerald Bay is about two miles long. Its mouth is nearly closed by a terminal moraine; the sides are formed by lateral moraines. The left lateral is very striking, well formed, three or four hundred feet high where it joins the shoulder of the mountain, timbered with pine and spruce¹ sparsely on the grayish slopes. ¹ Actually firs, of the genus Abies. It is 22 miles long, 12 miles wide, and holds about 40 trillion gallons of water – enough to cover the entire state of California to a depth of 14.5 inches! Maximum elevation of the lake surface is about 6,229 feet above sea level. The lake is drained by the Truckee River, one of a few rivers that run inland to the desert rather than towards the ocean. It is the third deepest lake in North America, with an average depth of 989 feet. However, the deepest point is about 1,645 feet. It is the largest lake in North America above 600 feet elevation. Surface temperatures can reach as high as 75°F in summer, but at depths below 600 feet the water remains a constant 40°F. Lake Tahoe does not freeze over, although Emerald Bay has formed complete ice cover at least three times during the 20th Century and partial cover in more years. More Lake Tahoe facts can be found at the U.S.D.A. Forest Service, Lake Tahoe Basin Management Unit FAQ site and at Tahoe Topics and FAQ’s, by David C. Antonucci (2004). 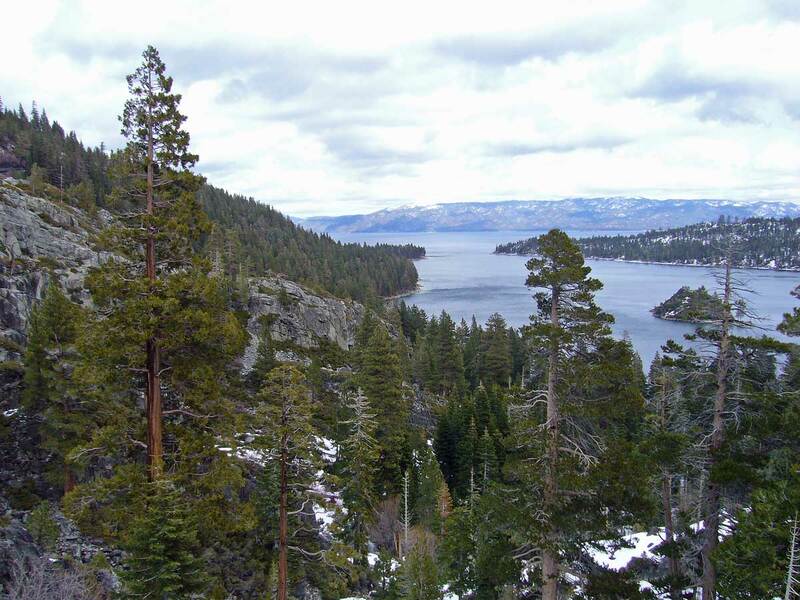 This entry was posted in [No taxon] and tagged California, geology, Lake Tahoe, landscapes, nature, science, trees. Bookmark the permalink. Thank you, Joan. We must be ever-vigilant to protect what we still have – even if the benefit is far beyond our own time here on earth. there was a monster landslide that also sculpted the western north part of the lakeshore. deep images of the lake floor by usgs show debris strewn across the lake bottom from this slide. Terry — thanks for your added insight. I just yesterday purchased National Geographic’s USDA Forest Service map of Lake Tahoe Basin, and I believe I see what you are referring to. It’s fairly easy to imagine the profile of the lake as parallel sided if that bay were not there. Hi Moe, thank you for your comment. I’ve been here many times over the years, yet every time I return I am awed. You are so right about that Ted. The idea of future generations only seeing these thing in pictures is frightening. This looks like an amazing place. Probably a place that we could go and live for a few months out of the year. My plan is to eventually live here permanently! 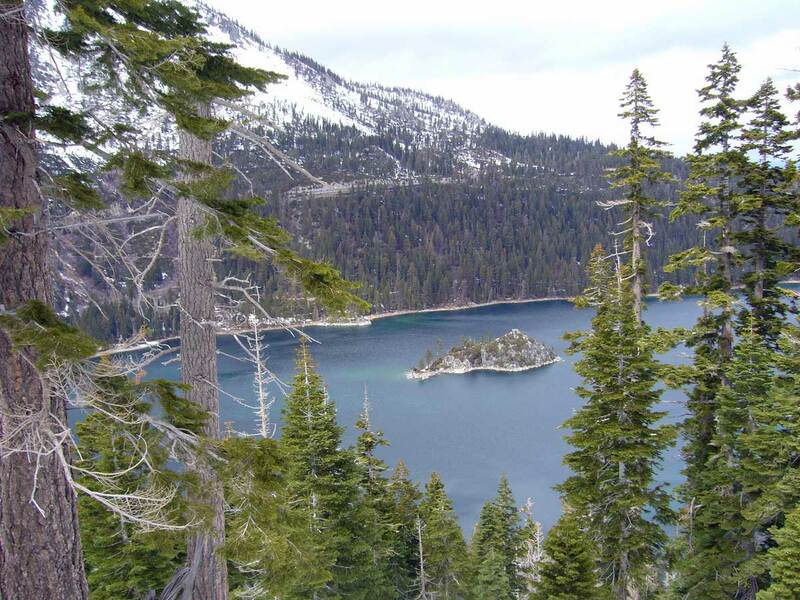 Where did you get the rendering of the glacial action at Emerald Bay and Cascade Lake? Unfortunately, a couple of your Tahoe “facts” are not quite correct, particularly the link to BlogTahoe on freezing (it’s all wrong). The Lake holds about 40 trillion gallons of water, enough to cover the state of California to a depth of 14 ½ in. 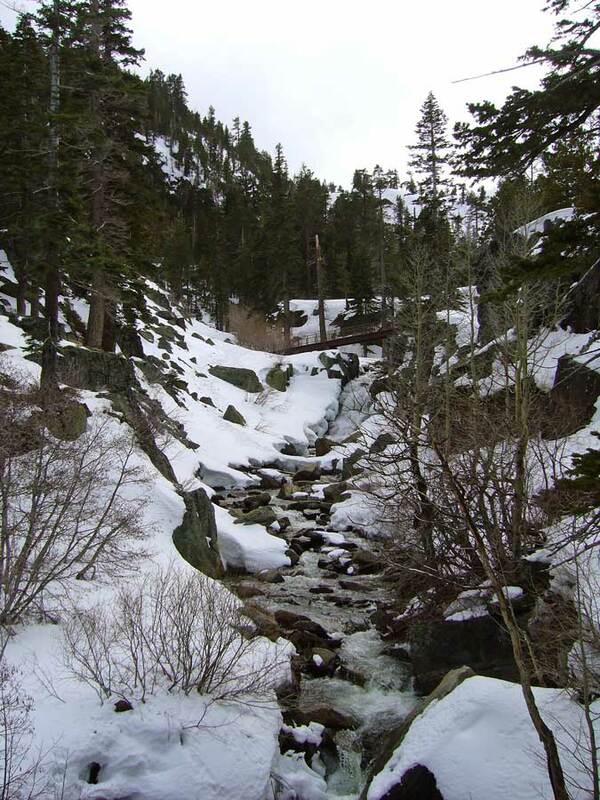 Between the regulated high and low water levels, the volume of water in Tahoe can vary by 243 billion gallons. Tahoe is the largest lake by volume above 600 ft. elevation in the USA. Maximum lake level is 6229.1 ft Lake Tahoe Datum, which equates to 6227.96 NGVD of 1929, or roughly sea level for laypersons. (Lake Tahoe has its own definition of sea level.) Average elevation is about 6225 ft above sea level. Below an average depth of 600 ft, water temperature is a near constant 40˚F. During July and August, surface temperature can reach 75˚F. In the coldest months, the lake surface temperature lowers to 40˚F. Lake water temperatures have changed from the old measurements due to global warming. You may want to change the BlogTahoe link to point to Thomas Bachland at http://www.thomasbachand.com/tahoe/tahoeresources.html and go to the Lake Tahoe Facts pdf. The explanation on freezing is brief but you can get a more detailed paper from me by sending me your email address. Excellent work on the Trees of Tahoe and Born of Glaciers! Many thanks for setting the facts straight. 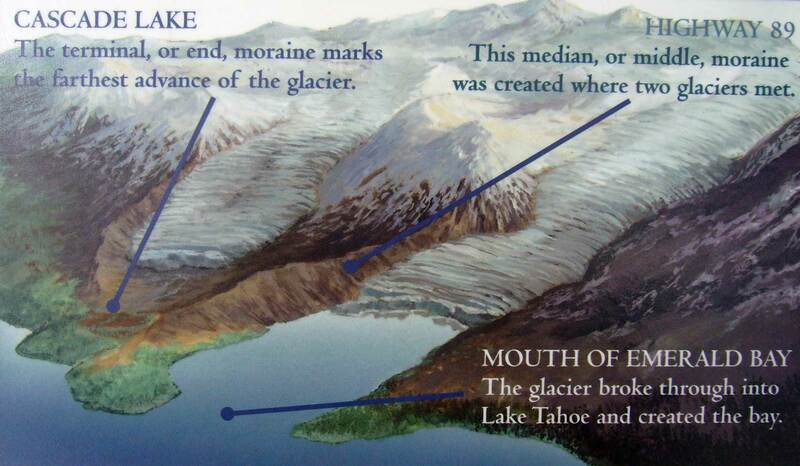 The glacial rendering is from a display board at one of the Emerald Bay overlooks – I just took a photograph of it. As you suggested, I’ve changed to BlogTahoe link to your quite informative “Lake Tahoe Facts” pdf. I would love to see a more detailed explanation of the freezing phenomenon – contact me via the link at the top of this page (“Contact”) and I’ll send you my email address. Thanks for stopping by – I appreciate the benefit of your expertise and your kind comments about my posts.